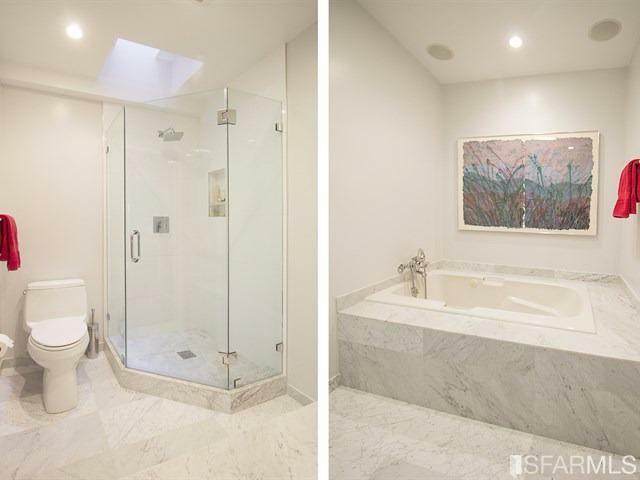 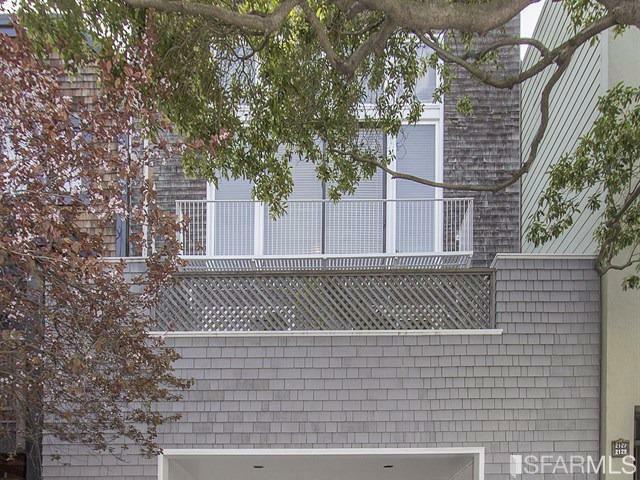 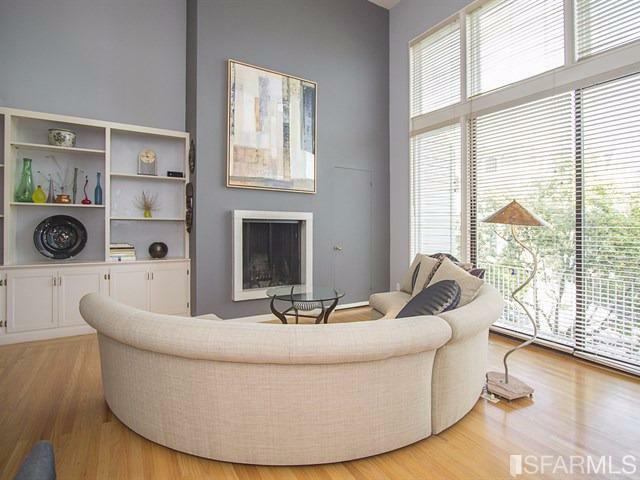 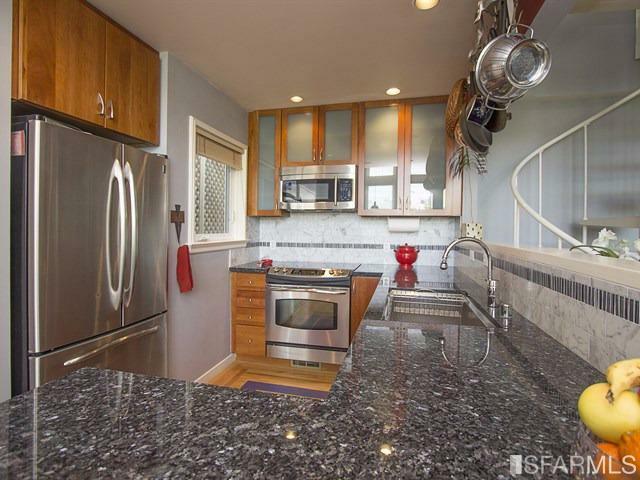 This fabulous townhouse, built in 1960 and designed by a well-known architect embraces all the features and panache for a sophisticated casual cool lifestyle in Pacific Heights with a Hollywood vibe. 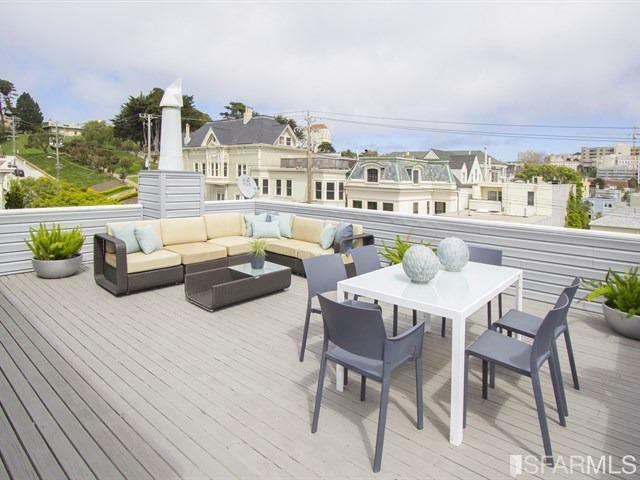 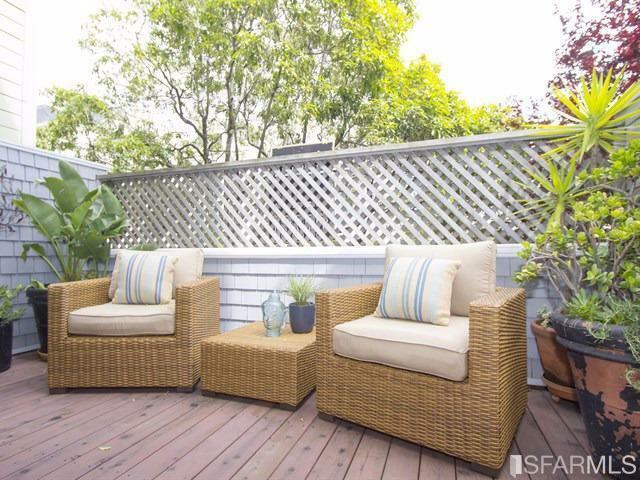 Pacific Heights is located in one of the most scenic settings and ultra-chic neighborhoods in San Francisco. 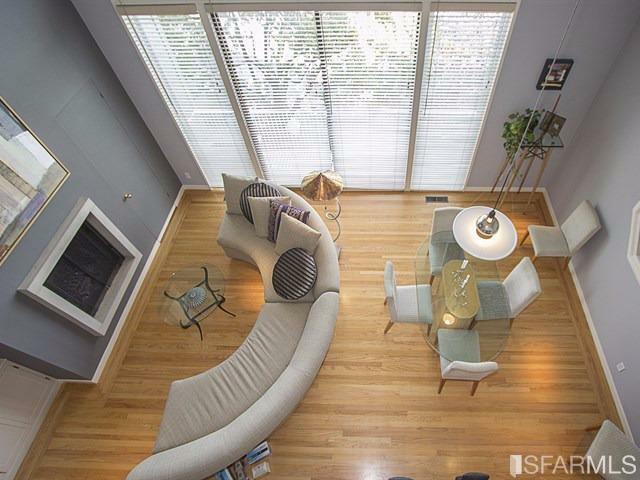 Soaring 16’ ceilings are featured in the living room, dining area and chef’s kitchen. 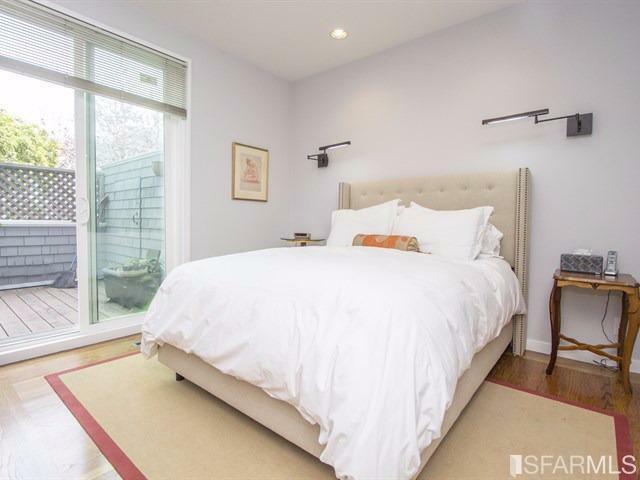 The master suite boasts complete privacy on the main level. 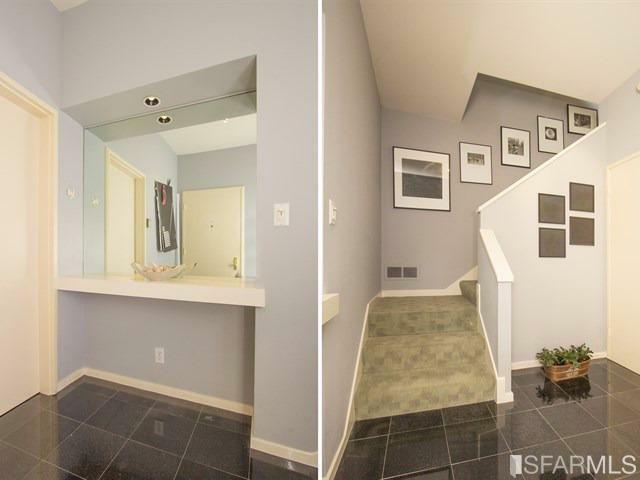 On the third and upper levels there is a loft with full bath, and an office leading to the large wrap-around view deck. 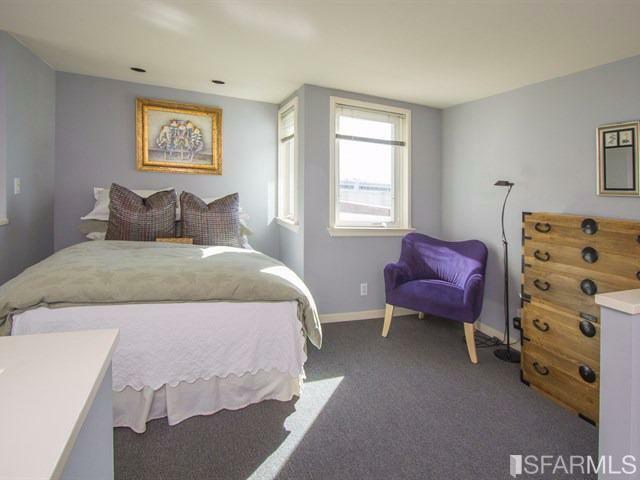 Additional attributes include in-unit laundry, spacious garage with storage. 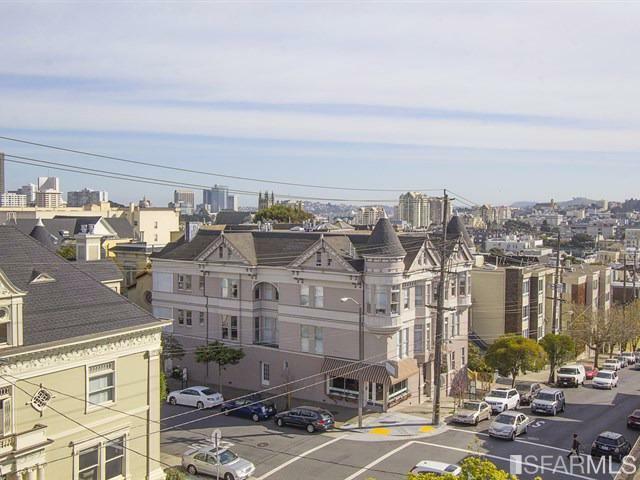 Stroll to parks, views and famous Fillmore Street. 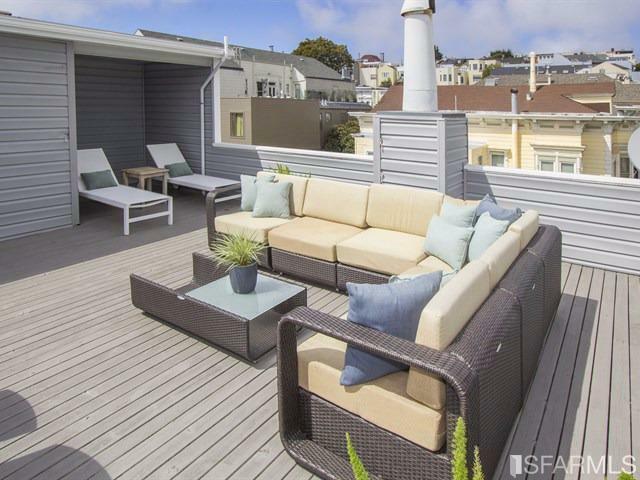 Enjoy the bistros, culinary delights at the best San Francisco restaurants, boutique shopping and cafes. 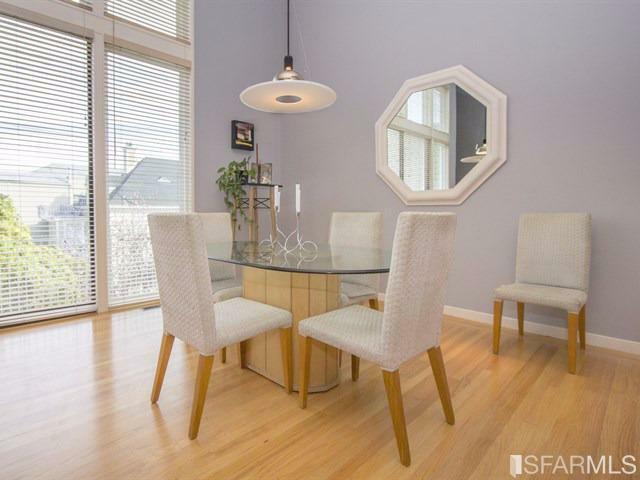 Photography generously shared by Listing Agent.